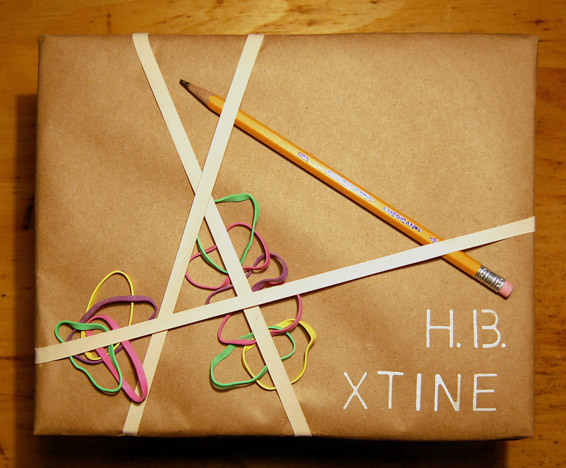 Create very personal gift wrap for a loved one using materials you already have lying around the house. If you don’t have a future gift on hand, wrap an empty container you can use later. Here’s one I made for my friend Christine. She’s an artist who works a lot with neon colors and giant fields of graphite. During the day she has an admin job. and this round up from Creature Comforts. 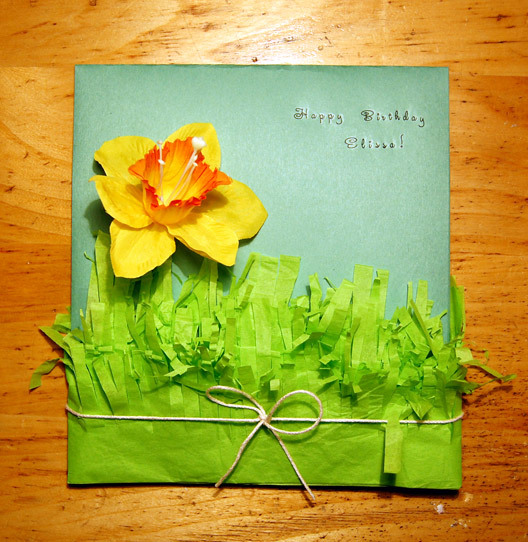 And here is your tutorial: How to Create Garden Gift Wrap, like this one I made for my friend Elissa, who has the most wonderful backyard garden ever. Open the paper back up and place your object inside, sliding it up to the halfway fold (I used a decoy gift for this tutorial so Elissa won’t know what I got her). 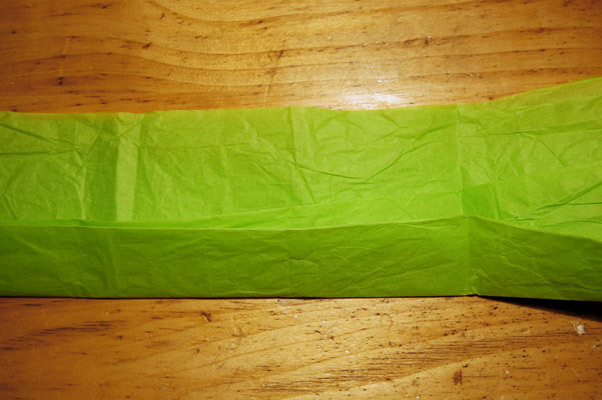 Fold the side edges around your gift. 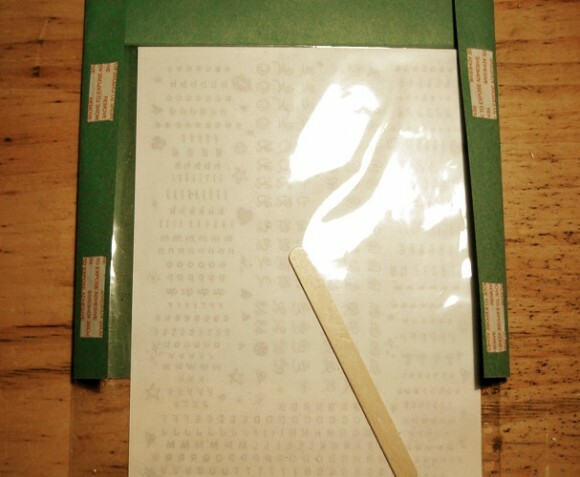 With the edges folded in, place double-stick tape or glue on the bottom half of the paper. 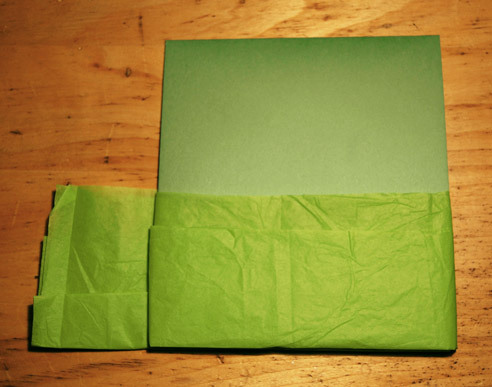 Fold the entire paper in half again to seal it up into a sort of envelope. 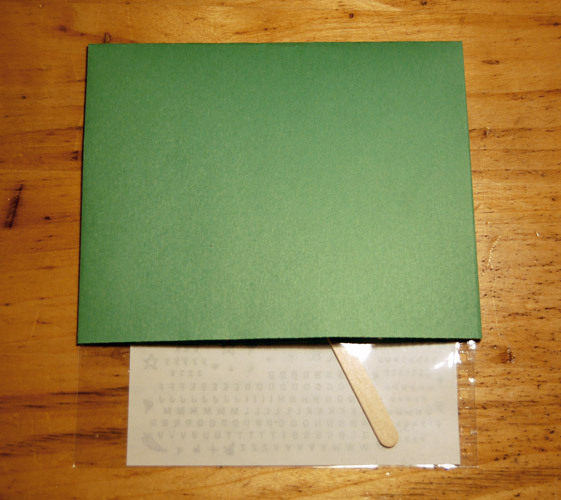 Wrap the entire length around the bottom of the gift and glue or tape the end in place. 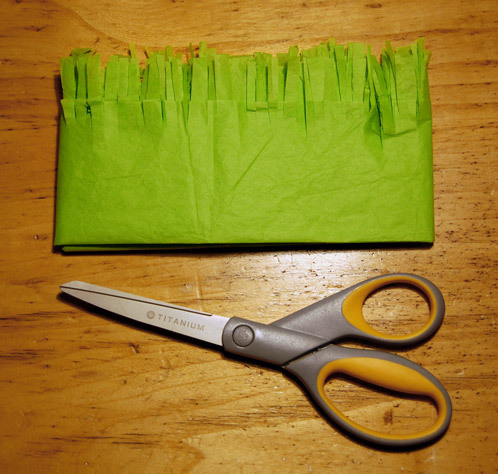 Remove this sleeve you just made and cut long snips all the way around it. Each snip should go about one third of the way down the sleeve. Snipping really fast will create more haphazard grass-like shapes. Now snip again, snipping two thirds of the way down. This will create layers. Slide your gift back into the sleeve, making sure it is resting inside the folded portion, so it will not fall out through the bottom. 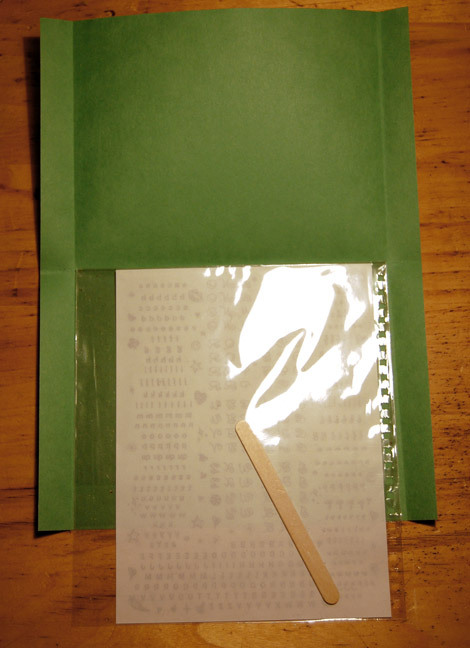 Secure the grass sleeve to the top half of the gift with more tape or glue. Fluff out the grass with your fingers and add any embellishments you choose. I used an artificial flower, some rub-on letters and a piece of cotton twine. Enjoy!